As he approaches, you almost feel him breathing down your neck. You wonder, has he forgotten you are a human being or does he just see you as one big dollar sign? He approaches with his bright shiny smile (aka baring his teeth) and launches into why this car is the perfect car for you. You want to run and hide, but instead you politely listen to him talk about this “perfect” car you aren’t even interested in. Finally, you use one of your agile maneuvers to distract him for a moment and you make your getaway…phew, that was close! I know you’re not a used car salesman and I know you’re not ready to sink your teeth into your next victim. But you’ve no doubt felt the impact of this “close the sale” energy at some point. And it is because of these types of experiences that most coaches and holistic practitioners avoid selling at all. First, when you think of “closing a sale,” how do you feel? For me it conjures up ideas of hunting a “prospect” down just like the coyote metaphor in the story above. When you’re “closing,” you’re bringing an end to something. When you’re referring to your “prospect” as a “sale,” you’re missing the humanity of the person who’s standing right in front of you or who is on the other end of the phone. In Heartselling™, you never close a sale. Instead, you support your potential clients to commit to investing in themselves. In essence, you’re helping them open vs. closing them. -What if they could be pain free and enjoy picking up their grandkids again? -What if they really could achieve the dream they’ve been thinking about for years? -What if they could have 10 times more energy than they have now? 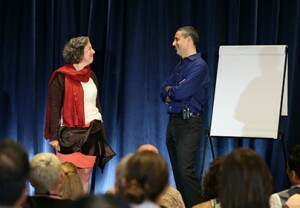 At every Client Attraction Summit we do a live Heartselling™ demonstration with a participant. A few years ago at one of our events, I looked out at the hands of volunteers and I was immediately drawn to work with a beautiful, vibrant woman with short red hair and exotic clothes. As she approached the stage, I realized we had met before at a Tantra workshop, so that’s how we started the conversation. During the course of the conversation, I discovered she had a Vision to help a LOT of people by leading Tantra retreats. I could see her inspiration…and I could also see her frustration with not having the next steps to see her Vision come to life. First we uncovered what a LOT really meant (in numbers of people and dollars) and I supported her to feel what it would be like to have this dream come true. And she opened and then opened some more. It was like witnessing a flower blooming. 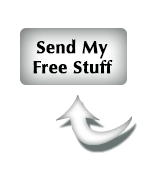 And then I shared with her that we had a step-by-step system to help her earn tens of thousands of dollars leading her retreats…and she opened even more. By the time we were done with the conversation, she was in tears of joy at the excitement of what was possible for her and for her clients to come. By the end of the weekend, she said “Yes” to herself by signing up for the programs that will help her achieve this dream. It’s conversations like these that remind me why I love selling. Yes, I really said “I love selling.” Because when I have a Heartselling™ conversation with a potential client, I know her life will never be the same. She will see something is possible that she had previously missed, or worse…even felt resigned to never being able to have. It’s about opening her up to deeper parts of herself and having her say “Yes” to what her higher self wants for her. 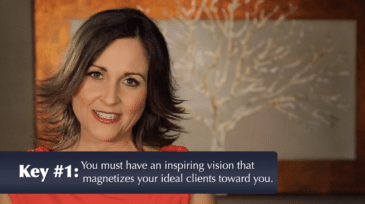 This is what makes it so powerful and has you become a magnet for the perfect clients. The next time you are having a conversation with a potential client, remember you’re there to Open them up and notice how different that feels. I bet you’ll be so pleasantly surprised at how easy it is to help them say “Yes” to your services and to say “Yes” to themselves. In next week’s blog post, you’ll hear from a Thriver who does a beautiful job of opening potential clients and how she thinks about it. If you’ve got any reservations about selling, you’re going to love next week’s post.